Last week we previewed DC Universe Classics Wave 5 (the Walmart exclusive wave), but here's a look at what October holds in store for the general release Wave 6. 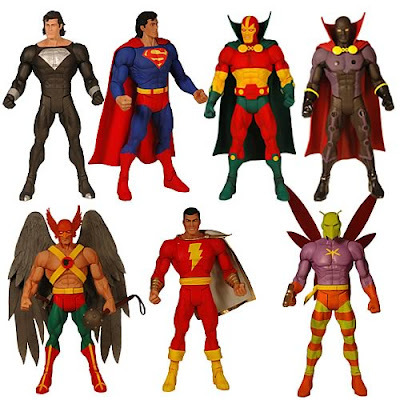 Collect all 5 (supposedly the two variants have the same Build-A-Figure piece as their counterpart) to form Kalibak. If I never get another DCUC figure in my life (and based on Mattel's distribution, that may very well happen) I MUST have a Killer Moth!